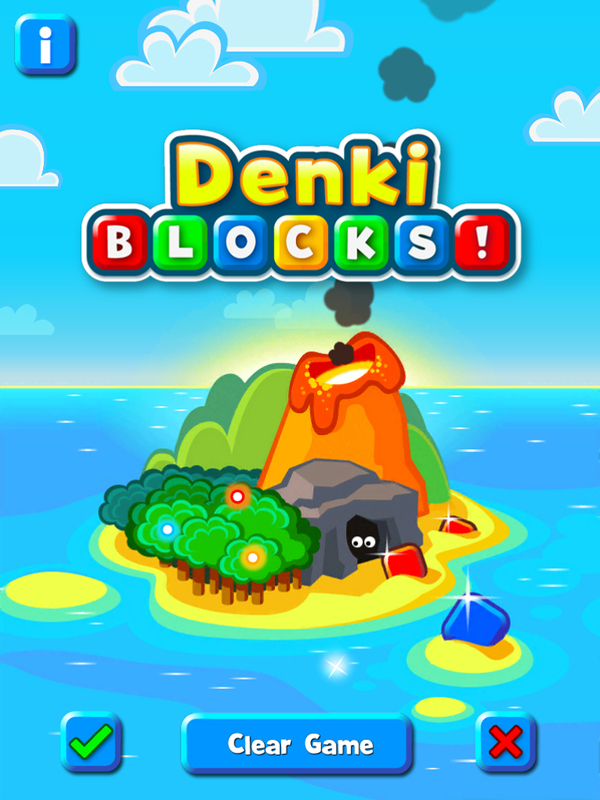 As the name implies this is the iPhone version of Denki Blocks! repackaged exclusively for iPad. To be clear, there’s no new content in this release – so please don’t go buying it if you’ve already bought the iPhone version. You’ll have seen it all already, and unless you’re particularly wanting exactly the same game with larger graphics I’d recommend sticking with the version you have. If the App Store allowed us to gift the iPad version to existing iPhone users we would, but unfortunately that doesn’t appear to be accommodated at the moment – or if it is we haven’t figured out how yet. This is just a quick update to address a few niggles people had raised since the game launched – in particular adjusting bat sensitivity, switching the timer to the opposite side and providing an instant replay button after a game finishes. We also used the opportunity to fix some bugs we found after launch and make a few additional tidy ups. Nothing major, but an incremental improvement that proves we’re listening to feedback if nothing else! We’ll let you know just as soon as they’re approved for launch by Apple. Meanwhile, got to get back to work at Denki Towers – busy, busy, busy!